On the other hand, if too many broadcasters allow the perfect to become the enemy of the good, our efforts could be doomed by infighting. That is well and good, so long as the proposed solution does not make things worse. I would posit that worse is already the enemy of the good, so any proposal that would make things worse should be protested vigorously. I have written quite a bit about AM, its relevance and possible revitalization. There is no one sized fits all solution to the problems facing AM broadcasters. In the final equation, stations should be judged on their viability as a business and service to the community. Those that fail to measure up should turn in their licenses. Update: And so it begins. The narrative is already being shaped, as Darryl Parks (original post has been removed) has found out. After posting in his blog a few comments on the FCC’s revitalization efforts, he was excoriated by several high profile broadcasters calling his comments “Beyond not helpful.” For those not versed in double speak, that means it is harmful. While Parks may not have gotten all the technical jargon exactly right, his points are valid and are in agreement with the widely accepted laws of physics. I know, I know, quoting science is dull and boring, something that conspiracy theorists are well practiced with. I am sure that this has happened in more places than one. 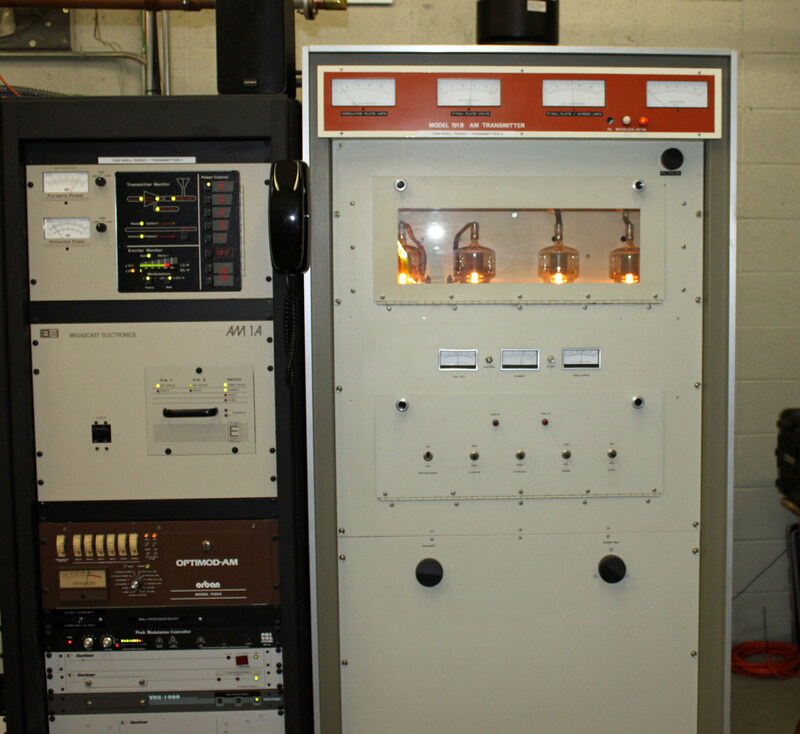 WZAD 97.3 MHz was licensed around 1990 as part of the 80-90 drop ins. The 80-90s were the beginning of the end for viable douopoly operations is smaller markets and triggered the huge wave of consolidation that began a few years later. WZAD started out as a community oriented station, with a free-form format. DJ’s often brought their own records to the studio and spun anything from classic rock to jazz to disco or whatever. As such, the station never really caught on. Listeners would tune in to hear their favorite Led Zeppelin song but here “Ernie’s Classic Polka Show” instead. A few years later, the station was sold to somebody that changed formats to a satellite oldies format. The station was sold again and again and again before finally ending up with a major consolidator. There is a lesson there for all the would be LPFM applicants: Nail down your programming ideas now, float ideas out among the community and see what will work and what people are interested in. 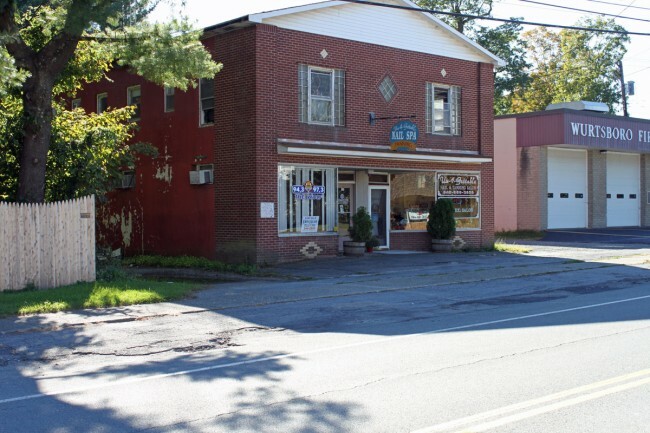 When was the last time anyone from the station was here or set foot anywhere near the community of license? The front lobby of the studio is full of garbage and an old dot matrix printer. It looks like there has been a leak and all the ceiling tiles have fallen down. The station is being programmed out of the Poughkeepsie studio cluster with an automated country format called “The Wolf.” There is a live morning show, or at least there used to be, I don’t know anymore. How is this station serving as a public trustee? 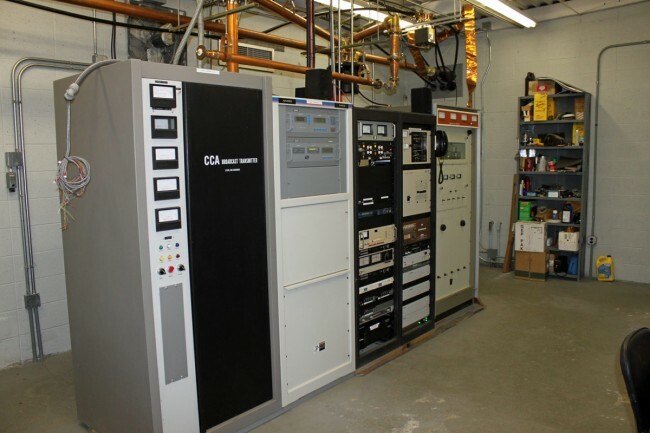 Another government shortwave broadcaster calls it quits. The Voice of Russia (Голос России, Golos Rossii) will cut its shortwave service as of January 1st, 2014. 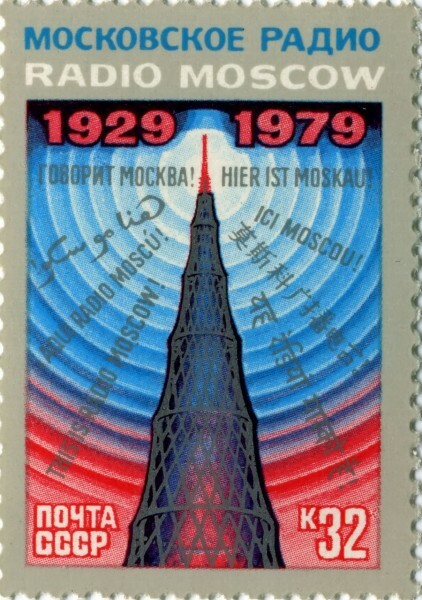 Originally known as Radio Moscow, it has been on the air continuously since 1922. 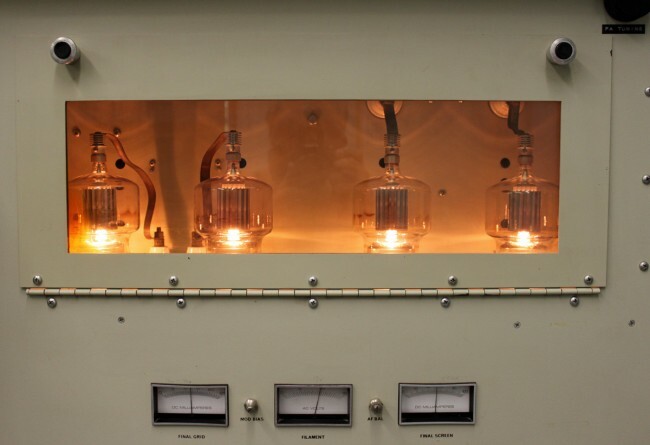 It will be sad to see yet another shortwave station pull the plug. I can remember Radio Moscow being one the first shortwave stations I tuned across on my Uncle’s Zenith Transoceanic shortwave radio. It was fascinating to me to hear the news from the far away and all too scary Soviet Union. After a short bit of interval music and a series of beeps counting down to the top of the hour, a man with a deep, sonorous voice came on and said “Zis is Moscow…” It was very dramatic. The economics of HF broadcasting are daunting to say the least. 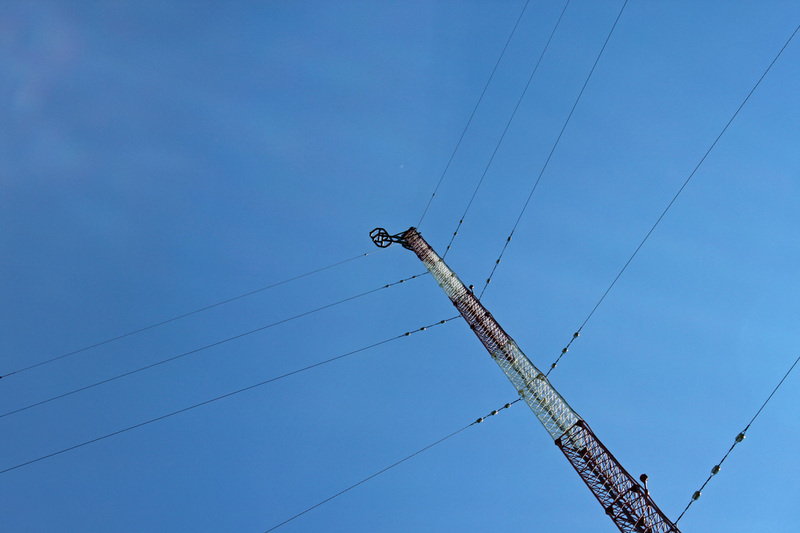 Minimum power levels in the US are 50,000 watts into a highly directional, high gain antenna. Most stations use greater than 50 KW transmitters, which will very quickly use gobs of electricity, becoming an expensive operation. Other expense include maintenance on transmitters, buildings, land and antennas. With little or no opportunity to commercialize, it becomes difficult to justify a shortwave operation. Sadly, those are the state of affairs in HF broadcasting today. There are hurdles: if broadcasters do not broadly embrace the HD technology and the multicasting and other enhancements that it makes possible, listeners will have few incentives to buy digital receivers. Likewise, if no consumers own digital receivers, then there is no reason to broadcast in digital. But I’m not worried. More than 15 million digital receivers have been sold so far, and that number will only rise. Thirty-three auto manufacturers include or plan to include digital receivers in their cars, and those receivers are standard equipment in over 80 models. 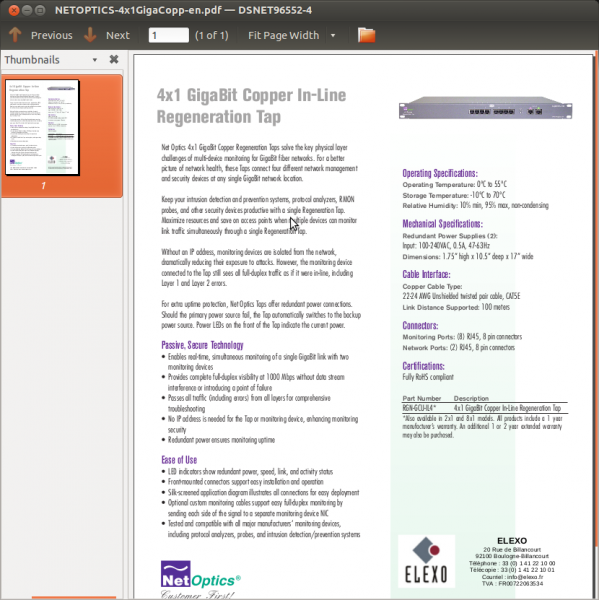 This will dramatically increase the number of digital receivers in the coming years. While those options may save an AM license holder some money, none of them do anything to improve the technical quality of AM broadcasting. Several of them (#2, 4 and 5) will, in fact if widely implemented, reduce signal levels over cities of license, making electrical noise and interference problems more prevalent. This is a step in the wrong direction. These points are basically a rehash of some to the MMTC’s (Minority Media Telecommunication Council) ideas for a radio rescue first bantered about in 2009. This demonstrates that the NAB and the FCC are not at all serious about revitalizing the AM band but merely marking time and making it look good until the final transmitter is switched off. AM licensees are on their own, but all is not lost. I have noticed several successful stand alone AM station that are not only surviving but thriving. The common thread in these station is good local programming. 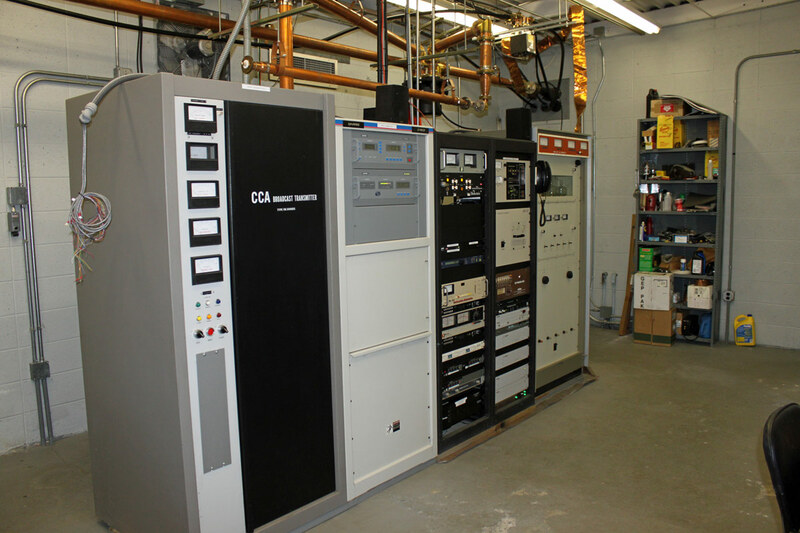 On the technical side of things; a well maintained plant with good quality audio feeding a properly operating transmitter and antenna array will go a long way to providing good service to the city of license. 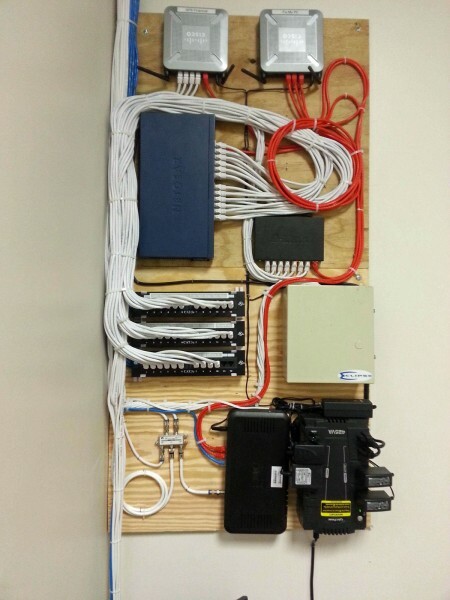 In the comments, he gets blasted for being too neat and using wire ties. I know a lot of IT guys that are not very neat with their work and document nothing. This is a big problem in the industry and does not, contrary to popular belief, promote job security. I have walked into some very messy situations in wiring closets and rack rooms over the years. My solution is always the same; run some temporary wires for critical machines/functions, then get out the big wire cutters and start chopping. 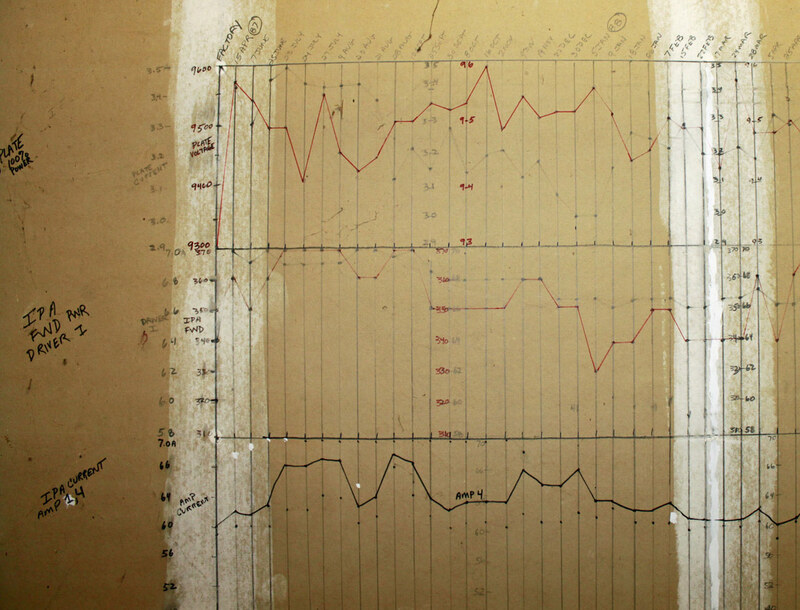 Somebody went through quite a bit of trouble to chart the transmitter readings from April of 1987 through about February of 1992. I have not seen this at any other transmitter site, so I though it was an interesting way to keep a transmitter log. It also seems to be time consuming and a bit obsessive. Over the years, I have found my fellow broadcast engineers to be a somewhat strange group sometimes. I found this interesting article on the inter-tubes the other day and thought that I would share. 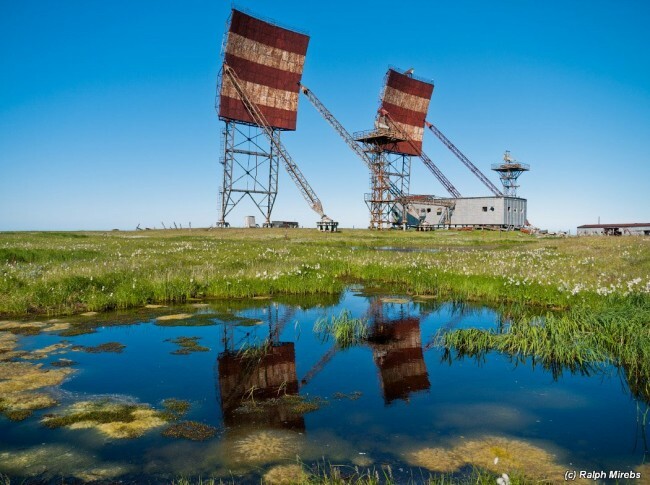 It is about a dis-used site from the Soviet era Troposcatter communication system called “SEVER.” There are many more pictures of equipment including MUX, transmitters, antennas, buildings etc, at that link. This is site 6/60, call sign Poloska and is located in Amderma, Nenets Autonomous okrug. That is way up north along the Barents Sea. This site was in use from about 1965 until 2001, when it was closed down. 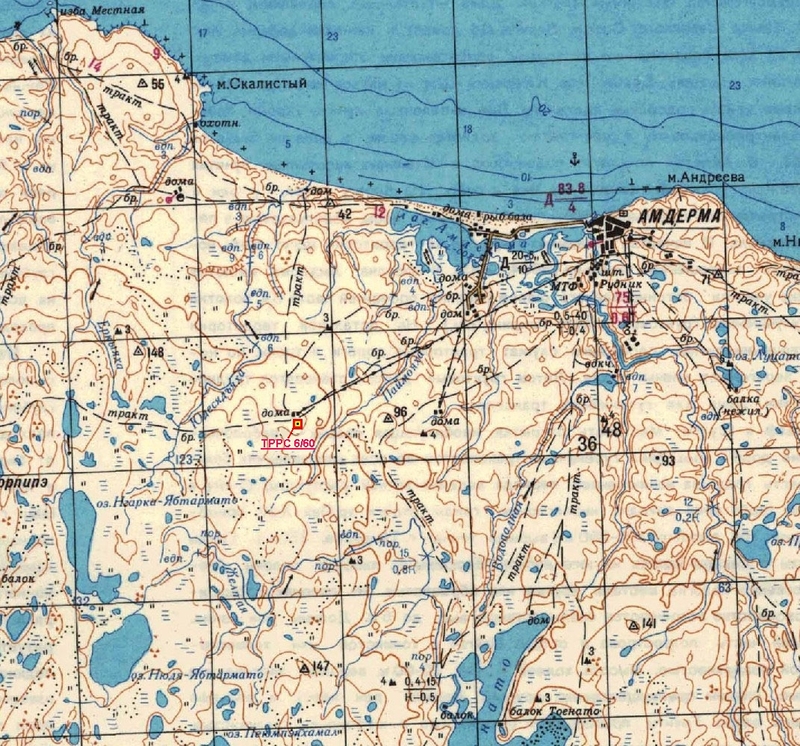 It communicated with site 5/60, which was 264 km away. Troposcatter was used widely before satellites came into availability. It used decimeter wavelengths (approximately 2 GHz) and lots of power with very high gain antennas. Basically the earth and the troposphere were used as reflectors, creating a type of duct. It is noted the the SEVER and the GOREEZONT (HORIZONT) systems used both space and frequency diversity as a part of their system. 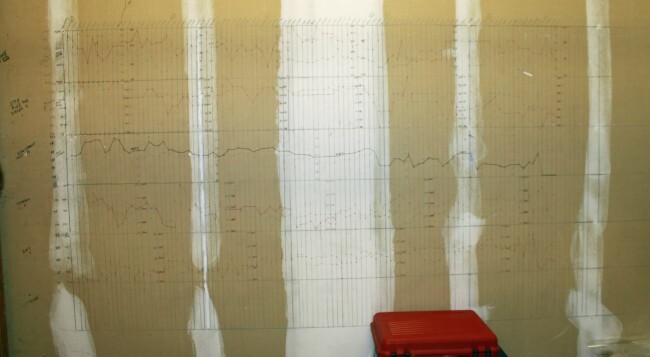 Frequency diversity means that there were as many as five identical signals transmitted on different frequencies at the same time. Space diversity means that two or more transmit and receive antennas were used, as can be seen in the picture. This site was run by the military, but would have likely carried civilian communications as well. Basically it was a way to maintain communications across vast distances when wired or microwave systems were not practical or possible. 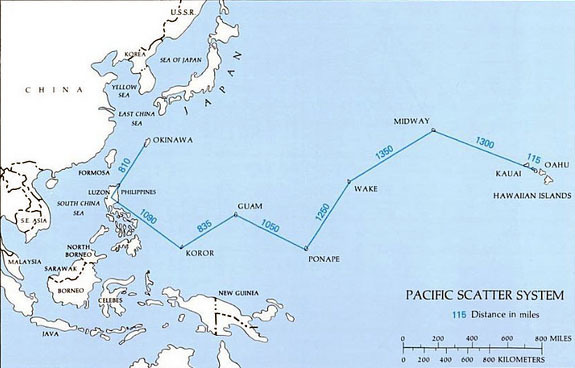 The US used such systems on the DEW line and across the Pacific Ocean between Hawaii and Okinawa. I remember the big Troposcatter dishes up on the hill behind the Navy housing area above Agana. These systems were massive and expensive to build, operate and maintain. From the looks of the pictures, site 6/60 generated all of it’s electricity with diesel generator sets. Fiber optic cable is an improvement of several orders of magnitude over this technology. It is always interesting to see how things used to be done and give thanks to those that went along before us. Last night I was grumbling about the network latency when watching a youtube video. It was terrible, but in retrospect, not really that bad. What we have here is a copper wire tap. This allows some telco or ISP to split an ethernet feed, send one output on it’s merry way, while the other output goes to? If not interception and collection, I don’t rightly know what else this device is designed for. There are many many more like this on the wilileaks website. Have any doubts about how deep the internet survailance goes? Spend a few minutes poking around, it is an eye opening experiance. I have been working with GNS3 (Graphical Network Simulator) in some of my classes. It is a fine tool with which one can build simulated computer networks using various routers and switches. The software program itself is free, however the Cisco IOS images are not included and must be found elsewhere due to copyright issues. This detail is a bit of a pain, but not too bad. Once the program is set up and the appropriate IOS images are loaded, the console functions exactly like whatever router is being simulated. This includes running which ever terminal program is preferred, e.g. hypertermial, putty, or if using the Linux version, x-term, etc. 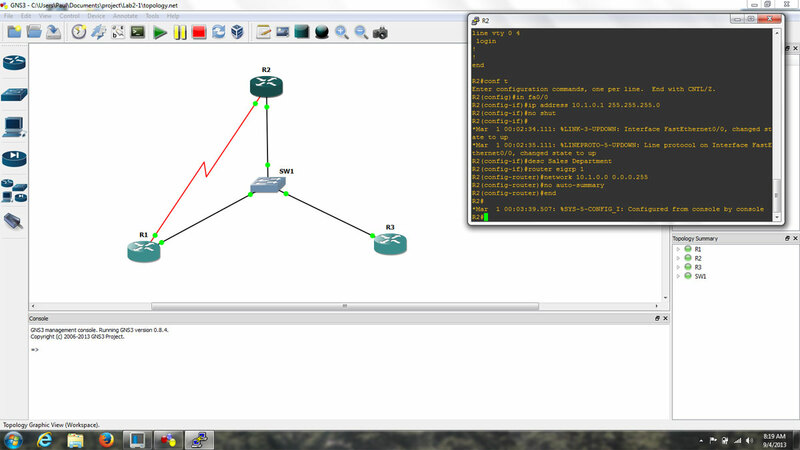 The advantages to this over something like Cisco’s Packet Tracer program are many. In Packet Tracer, certain functions are locked out and generally there is only one acceptable way to complete any given task. With GNS3, the IOS is fully functional, which means that experimentation and failure are available to play with. Failure is a great way to learn things in any hands on environment. The advantage of virtual failure is that only you know about it. For real world applications, this means that router and switch configurations can be created, tested and tuned ahead of time then loaded into working devices, saving downtime and potentially handfuls of hair. A few things about using GNS3, the PC idle tuning is required. Each instance of IOS assumes that the entire processor is available to use, thus starting several routers can wonk a PC’s processor to 100% and windows will never fully recover. Secondly, when starting each router, wait 10 to 20 seconds before starting another one. Again, this has to do with the way IOS uses processors. Also, to save time, store the IOS image as a decompressed file. This saves quite a bit of time on startup. Finally, do not forget to copy running config to startup config. Even though GNS3 says it is saving the router configs, it does not save the running config unless you issue the copy run start command, just like a real router.